Bring to your studies renewed depth, purpose and global awareness. 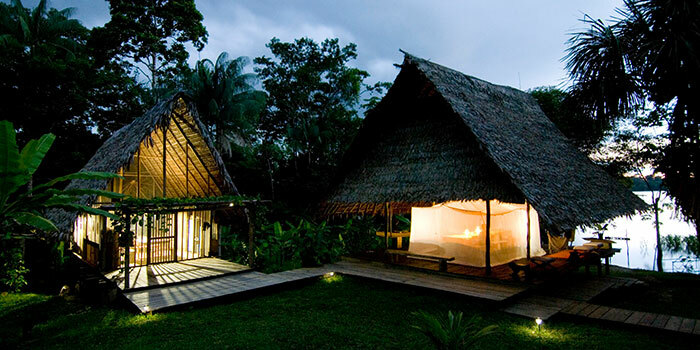 Visit Colombia's Amazon Rainforest and experience its rich biological and cultural diversity. After a cultural tour of Bogota, you will travel south to the Calanoa Natural Reserve where you will engage in creative activities, trek and canoe into the forest, and learn indigenous knowledge from local guides and shamans. This 6-credit course and field school uses an interdisciplinary approach to explore themes of sustainability, conservation, community development, and indigenous perspectives. Learn about Colombia's history, culture, and current issues from local experts. Visit Bogota's museums, local markets, gardens, historical and iconic architectural sites, and more. 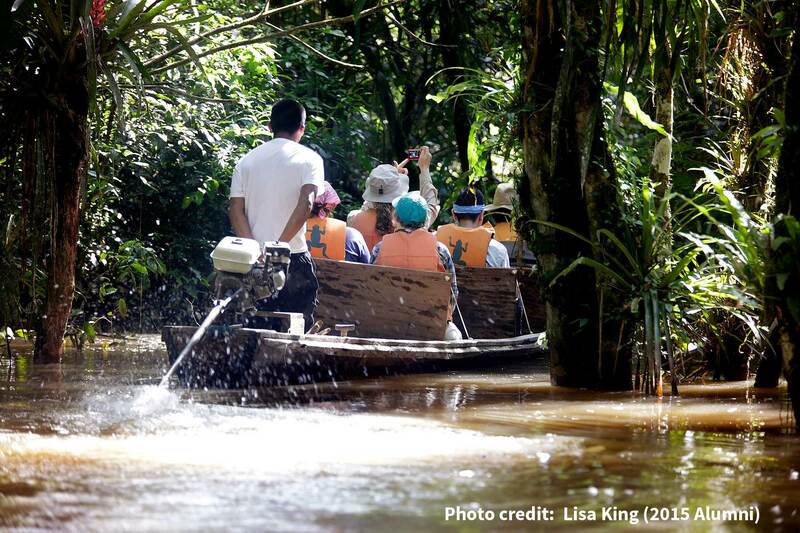 Trek through the tropical rainforest and boat down the Amazon River. Search for river dolphins by the Peruvian shore. Tour indigenous villages and meet with shamans, local artisans, and master craftpeople. Engage in creative workshops including pottery making, drawing, photography, and so much more. Most of the trip will be spent at the Calanoa Natural Reserve, an artistic, ecological, and community-focused learning center located on the shore of the Amazon River. Calanoa offers an unforgettable experience of the rainforest through workshops that support a creative dialogue with local communities and the environment. *Travel dates subject to minor adjustments pending final reservations, but will occur around the dates mentioned. TBD - includes all travel within Colombia, including transportation in Bogotá, flights from Bogotá to Leticia, and land and boat transportation in the Amazon; lodging in Bogotá (bed & breakfast), as well as lodging in Leticia and Calanoa, and includes a majority of your meals. local instructors, lecturers and guides; entrance fees to museums and local attractions. Note that the flight to Colombia, personal expenses, tuition, additional meals and alcohol, and fees are not included. Bringing $200-$500 extra for personal expenses should be sufficient for incidentals (e.g. additional meals, souvenirs, extra outings, etc.). Note: The deposit goes towards the program fee. When applying, participants are required to make a non-refundable $300 deposit by cheque. However, they may also bring the cheque after submitting their application, as long as you do so before the due date of TBD. *According to the Field School guidelines, should a participant decide to withdraw from a field school after the deposit deadline, s/he will forfeit the non-refundable deposit and this money will remain in the Field School Fund. ** The fee payment deadlines are set according to the regular university fee schedule in the university calendar. Payment of academic fees, due dates, withdrawal charges, refund policies, and associated policies for academic fees are set as per the university calendar. Please note that should a decision be made by KPU to cancel a field school due to low enrolment or other academic/risk issues, participants will be entitled to a full rebate of any payments made including the deposit. Field school scholarships are available for applicants. Click here for information on scholarships and other financial assistance options. The Amazon Field School also accepts applications from college and university students outside of KPU. Please contact internationalprograms@kpu.ca for more information. Classes begin in January and are co-taught by Lucie Gagné (Design) and Farhad Dastur (Arts). To enhance their experience in Colombia, students are encouraged to take introductory Spanish in the Spring term. Exact day/time for classes TBD. 30 credits of 1100-level or higher courses. Students must be nineteen years or older at the start of the course. 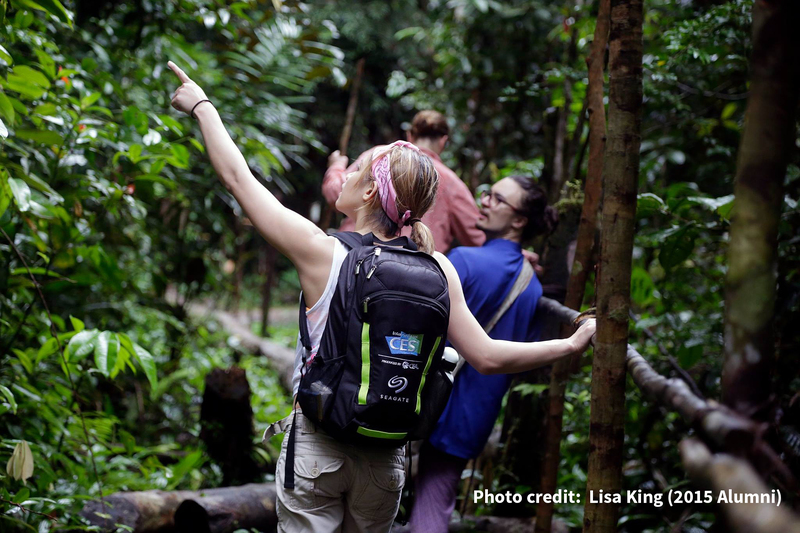 Want to reserve your spot for the Amazon Interdisciplinary Field School 2020? Step 1: Create your online account here. Step 2: Submit your completed application for Amazon 2020 RESERVE YOUR SPOT!.